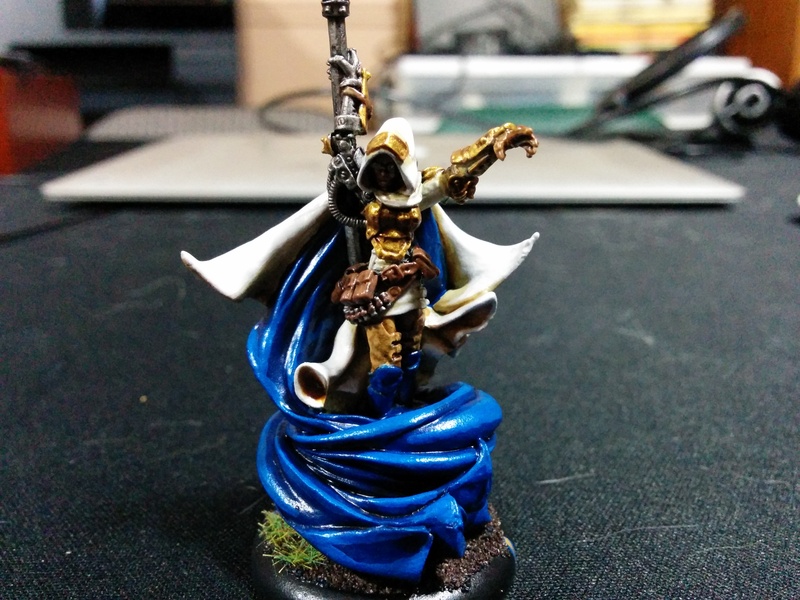 Ashlynn was actually the first human Merc caster I bought. Last year I posted pics of the kit bash I did with her original and alternate sculpts because I hated the original sculpt but also hated the massive flag she was carrying around. Finally justice to Llael!! I have finally finished her off. Due to having an extra day off today for Canada Day (sort of like Independence Day, but more Canadian), I decided to finish up a few of my models that were basically done, and just needed bases. Finally finished with pFeora! 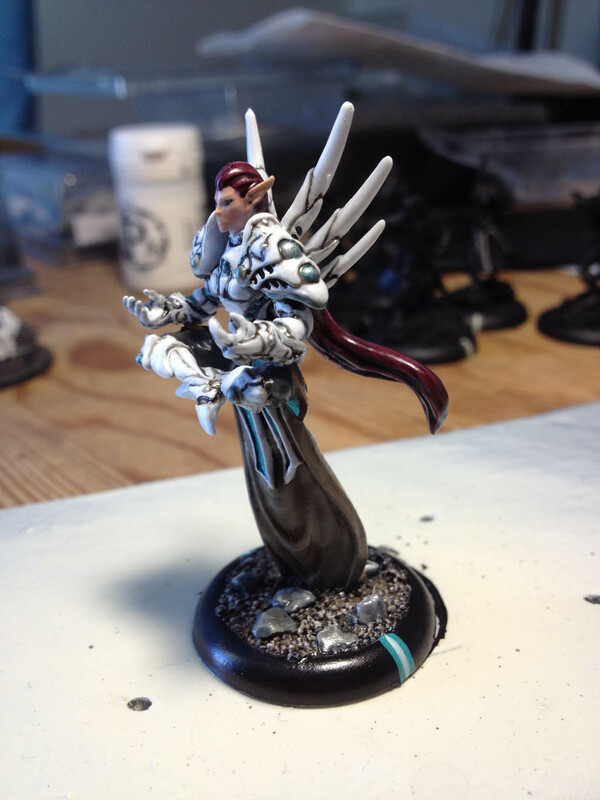 I love this model, both rules and aesthetically… I just wish my paintjob could do it justice! Over the weekend I attempted to finish my Judicator… sadly, she wasn’t quite done come Monday morning, but I will finish her by the time this post goes live on Thursday. 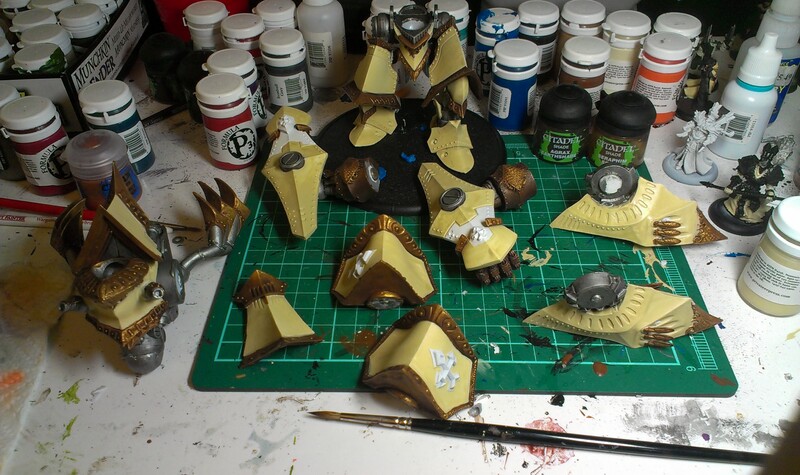 At this point the Menoth White Base was almost finished (it looks better on film than it did in real life! ), and I’m almost ready to start the highlights…. After some pre-order mishaps and about a month of waiting I finally got my copy of Issyria. I didn’t waste any time getting her table-ready. The white you see is the clear stuff I used to make a seal between the wall and the river which couldn’t dry too hard due to the wall. Hopefully it will now dry clear (the rivers I made had the same problem, and they eventually DID dry hard and clear). And why did I place a small magnet in the middle of that base? 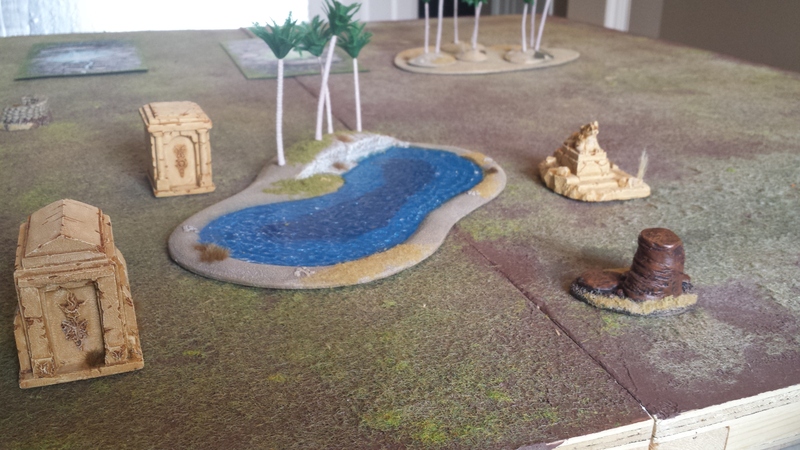 Why, so I can place a Trencher model on the base when I’m not using the Trencher units on the table, of course!